The story behind Southwest Airlines’ ‘Bags Fly Free’ campaign demonstrates how having a clear purpose can help an organisation make better, more profitable decisions. Having a clear purpose can help an organisation make better decisions. Southwest Airlines’ purpose to ‘democratise the skies’ helped the airline add over $1 billion to their bottom line, despite a slump in the profitability of the airline industry. This week, Mark tells us how through the story of the airline’s ‘Bags Fly Free’ campaign. The story contains a number of meaningful business points, including: a clear purpose can lead to better decisions; and company values should be taken seriously, particularly as decision making becomes more complicated and its outcomes less predictable. If you would like to learn more about the workshop Shawn announces at the beginning of this episode, click here. The book Mark mentions as his source for this story is Selling with Noble Purpose: How to Drive Revenue and Do Work That Makes You Proud, by Lisa Earle McLeod. Southwest Airlines operates with a purpose to ‘democratise the skies’. A few years ago, the airline industry experienced a slump. For a time, most airlines were struggling to make a profit. Southwest Airlines called in a team of consultants to identify opportunities for the company to earn a greater profit. These consultants worked alongside the company’s financial team. The two teams found that Southwest Airlines could add $350 million revenue to their bottom line if they started charging for bags. The financial team called the company’s senior executives together and encouraged them to implement the idea. They were shocked when the execs gave them a firm ‘no’. “Our purpose is to democratise the skies. 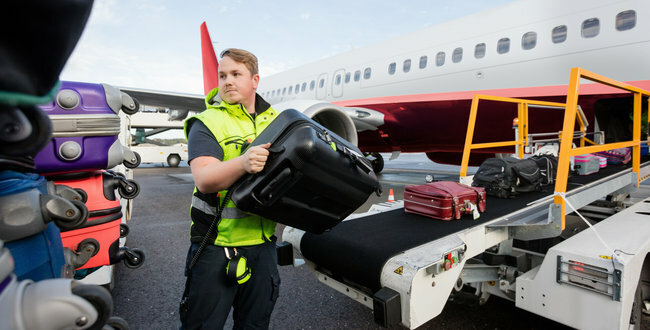 If we charge for bags, we make it harder for people to fly, not easier, and we go against our purpose,” they were told. The execs then decided to call in Roy Spence, who developed a ‘Bags Fly Free’ marketing campaign for the airline. Less than a year later, the senior execs and financial team met again. “We were wrong to suggest we should charge for bags,” they announced, “the Bags Fly Free campaign has generated more than $1 billion for Southwest Airlines”. Instead of adding $350 million to their bottom line, they had added more than $1 billion. They had also gained market share. They had made money because they stuck to their purpose. Hi, Shawn here. Just before our programme I wanted to let you know we’re running a workshop in Silicon Valley called ‘Story-powered Culture Change’. If you want to come along just go to our website, to the events page—all the information is there for you to check out and sign up. Hope to see you in California. I hear we have something from the aviation industry. How did you know that? This is a story from SouthWest Airlines demonstrating how if you have a clear purpose it can help you make better decisions. Herb Kellerher, the famous CEO of SouthWest set a clear purpose for SouthWest, which was to democratise the skies through low prices and high spirits. The execs went, ‘no, because our purpose is to democratise the skies; if we charge for bags we make it harder for people to fly not easier so you’re gonna have to find the money somewhere else.’ And the consultants in the finance team looked at him and said, ‘but this is going to drop 350 million into your bottom line’. Still the senior leadership team said, ‘no, we’re not doing it’. They worked with a marketing guy called Roy Spence who’d been with Kellerher a long time working with SouthWest. And instead of charging for bags they ran a marketing campaign called ‘bags fly free’. It was a big marketing campaign and less than a year later the finance team were back in the office with the senior execs and they said, ‘o.k. that was a mistake because charging for the bags would have dropped 350 million to the bottom line but by running the ‘bags fly free’ campaign we’ve actually increased revenue by over a billion dollars. And they’ve taken market share from their competitors in doing so. What they found is that rather than costing them money, sticking to their purpose it made them money. That’s fantastic—what a great story. There are a couple of really nice things about that story. Firstly a business story, it’s great to have numbers in it; 350 million, a billion which are big numbers and tangible. You can see business people really leaning forward on something like that. Because of the tangibility in terms of the figures it allows people to hear the message which is around adhering and making decisions based on your purpose. Absolutely, so one of the things we often say is stories are facts wrapped in context delivered with emotion but of course you’ve got to get the facts right. Having that really tangible data, the money, that’s substantial. I’ve heard stories about Herb Kellerher and that was a more up to date one and he’s a guy that people know. And the brand is very reputable. It’s one of the reasons that story has credibility is because SouthWest is a reputable brand. As an Airline they are the ones who are pushing ahead and doing interesting things in the US. It’s also a very short story isn’t it? And I think you could even tell a shorter version. I think just that one line, your bags fly free, is enough to make a leader remarkable and that is when leaders so something against the grain. Still adhering to the values or the strategy or the purpose but going against the grain. I think this is a corporate version of that, right. So everyone is saying do it, do it, do it, all the other airlines are doing it but they hold their course. I know that for me when I travel in the US or now in Australia as well, when you have to pay extra for your bag it’s bloody annoying. It irks me every time. I think whenever there’s something which erks the majority of people that’s an opportunity for a new market to be created or a new product to be created. I think that’s what they have done there. Yeah, it’s very nice. So for a whole bunch of different reasons that’s a story that really works and it’s a very business oriented story. It’s about what happens in a business and how purpose in a business can make a difference. I use to work with Amy at IBM years ago and she’s worked in the consulting world at a very senior level and she was telling me that she was working with two organisations. One had a strong purpose and the other one had no idea what their purpose was and she said the time it took to make a decision was so much longer for the organisation that didn’t have a purpose. So in addition to making a right decision, we are talking about speed and agility and responding quickly if you have a purpose. You can quickly say that’s out, that’s wrong for us, no, here is the right way. Like you the story reminded me of a couple of experiences I’ve had where values have been well handled where they’ve been used to make decisions. When we were both at SMS, the three values of SMS were, has reputation, maintain unity and add value and there was an opportunity to break into a new strategic account that we’d been targeting for some time. The catch was that the new client wanted a guy who was already on an important assignment for an existing client. So the business development manager is going, this is a no brainer, we just take him off the existing client and give him to the new client, it’s a strategic account that we’ve been trying to get into for years. We put the values on the table and actually said well we can’t. How does this enhance our reputation or add value for our existing client, it doesn’t so we had to say no. The bidding manager was not happy and he had to go back to the new client, it was the Tax office actually, and explain to them that we were not prepared to take this guy off an existing client because he’s doing important work for them. They went okay, send us some other resumes. We then immediately got a few people in for that account because we stuck by the values. It works over and over again. Now, business point. Where would you tell this story? Many companies have values and they are often just lists of things that hang on the walls. I’m continually amazed by the number of times I start a workshop and I ask people to pick a value and explain what it is and why it’s important. The first question I ask is let’s just list off the company’s values and even when there’s a senior executive team a lot of the times they can’t do it. So the values aren’t being used. They’re not the real values. No, that’s exactly right, they’re the talisman that you hang off the wall to ward off evil spirit, and you wave at them every now and again. So if you were trying to get your company to take the values seriously, this story would help. I think especially at that juncture where you are trying to make a decision and people trying to work out how we are going to make this decision, well ‘ Hey guys we should really look at our purpose and our values’, and then you’d just tell that story. People would lean in and listen to that; I think it would actually have a big impact. The world is getting more and more complex and it’s harder to make decisions so having good clear principles, values, purpose can really help accelerate and increase consistency of decision making in a vuka world. Yes I used the term vuka. Sorry I take that back, in a complex world. So, as things get more complex, purpose and values will become increasingly more important because they will help us make decisions when there is no provable correct answer. I reckon there is an opportunity to tell this story as a creativity story in the sense that hey guys sometimes you have to go against the grain to sort of shake things up and you can create enormous value. It also gets us thinking to become creative. The whole thing ‘bags fly free’, that’s a creative process that they came up with. It wasn’t an obvious thing to do. It’s obvious in hindsight, but at the time it wouldn’t have been obvious for them to do that. I think there’s an illustration of creativity there right. And going against the flow. Yeah exactly. There’re a couple of good reasons for it. I think the decision making and creativity. Yeap, all those things, it’s good; it’s got some real versatility to it. Is there anything we want to say if we were to tell it again, anything you would add to that story? I liked the fact that it’s got names in it, it’s got numbers in it. If you had a specific date, that could add to the credibility of the story. Yeah, that would be something to think about. And of course, just adding the date in adds no extra time to the length of the story. Apart from that I think it’s great. As you say you can tell an even shorter version of that story if you wanted to. I just wanted to pick up about what you said, when it happened, because as I said it going through my mind was ‘I should know that’. I should have done that piece of research. So that’s a lesson there because we know that the time stamp is an important part of the story, and it adds credibility but also it gives the listeners context. Yes. So, if you said in 2009 then you’ve got immediate context because it’s after the global financial crisis. Exactly, people start putting those things together don’t they? Good, so shall we give it a rating? Absolutely, so my story you go to get first with the rating. To me this is an eight out ten story. This is a story I can have in my back pocket and tell, I know this is mixing metaphors, at a drop of a hat. Not that my hat is in my back pocket. So yeah, eight out of ten, it’s a good story. I’m going to give it eight out of ten as well. And having found it for the purpose of this podcast I plan to use it in the next workshop I run. Tell me where did you find this story? It came from a number of places but what twigged me to it was the book ‘Selling with a Noble Purpose’. And that led to YouTube videos of Roy Spence talking about this in Keynotes. It just shows you too, everyone who’s out there listening, that there are so many sources for the stories we’re telling and it’s just about keeping your eye out for them and building up your story bank so hopefully this is another one you can pop in there. And if you notice a story that grabs your attention then doing a little bit of research can really provide some interesting details that will enhance your telling. Obviously, you don’t want to overdo it as I did about 10 episodes ago when I tried to tell a 10-minute version of a story that in fact only needed 2 minutes but because I’d done so much research and got so involved in the details that I fell in love with the story. But I didn’t need most of those details to make the point. Yeah, that’s a very good point. Fantastic. Thanks again, guys, for listening in to Anecdotally Speaking and tune in next time for another episode on how to put your stories to work. Great SW Airlines story … but I really like the Tax Office story too!